Must see, move-in condition, 4 bedroom 3 bathroom Villa town-home, attached garage, with pond and golf course views. This home features Samsung and Bosch stainless steal appliances, corian counter-tops, a gas fireplace, open floor plan, dining area, cathedral ceilings, custom window treatments, chair railing, architrave and sliders to an open deck. The first floor has two bedrooms with the master having a jetted tub, and sliders to a three season room with EZ breeze windows. The second floor has two bedrooms, one full bathroom, and sliders to an open deck. 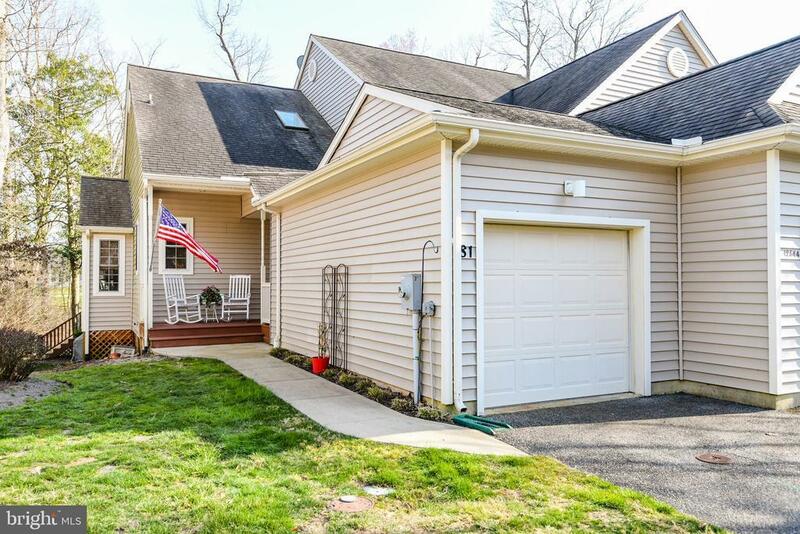 Fees include outdoor pool, fitness room, HarTru tennis court, trash, insurance, lawn and exterior maintenance, including roof, decks and vinyl siding. River Run is a quiet gated community with the Starr restaurant onsite, close to shopping and minutes from Ocean City beaches, hospitals and medical facilities. Memberships to a Gary Player Signature golf course, and marina slips are available. Directions: Rt. 589 to Beauchamp Rd. Left on River Run Ln. Home on left.